This Aug. 3, 2017, file photo, shows a bowl of dry dog food. 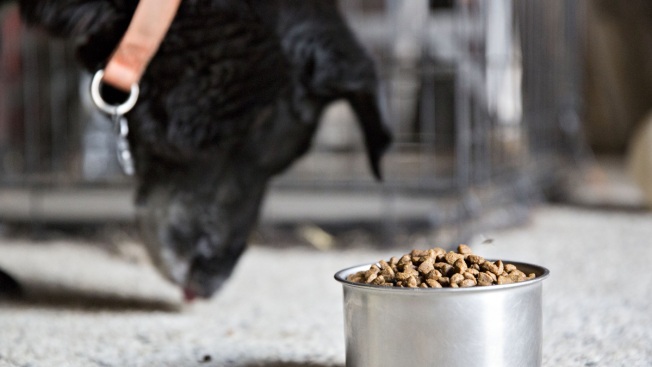 Several popular brands of dry dog food have up to 70 times the safe levels of vitamin D and could kill dogs who eat them, the Food and Drug Administration warned Monday. The makers of at least 11 different dog food brands are recalling their products. The full list is available on the FDA website. Recalled brands include Nutrisca, Natural Life, Evolve, Sportsman’s Pride, Abound (sold at Kroger), and Nature’s Promise (sold at Giant and Stop & Shop), as well as others.